Ichikawa-shi History Museum and Museum of Antiquities of Ichikawa stands on the same area where Horinouchi Shell Mound designated the National Historic Site is preserved. They tell the history of Ichikawa and areas around it. The history of the area is very long, there are several remains of antique ages, such as Horinouchi Shell Mound, Ubayama Shell Mound, Onitaka Remains in Ichikawa City. Shimousa Kokufu (the ancient provincial government office in Shimousa) and Kokubunji Temple were built in it. 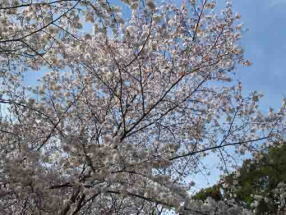 There exists many legends and stories of heroes and heroins in Japanese History in Ichikawa city. The poems of Mama no Tekona (a beautiful lady in legends) was written in Manyoshu (the Myriad leaves), Gyoki and Kobodaishi built Mamasan Guboji and Kokubunji Temple. Masakado Taira built a castle, Yoritomo Minamoto camped to raise his flag again, Nichiren first preached, Ogri Hangan was helped, Dokan Ota built Konodaijo Castle and a tea ceremony hall, Hojo and Satomi Clan fought twice, Ieyasu Tokugawa passed to go hawking, Musashi Miyamoto drew pictures and Mito Komon got lost in the bamboo woods in Ichikawa city. The museum exhibits historical relics and articles in them. 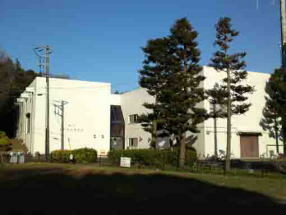 Why don't you visit Ichikawa-shi History Museum, Museum of Antiquities of Ichikawa and Horinouchi Shell Mound? Ichikawa-shi History Museum exhibits many relics and articles to introduce the culture and history of the city and areas around after Kamakura period. In Kamakura period, Nichiren stayed when he escaped from some troubles. In Eod period, Ieyasu Tokugawa supported the salt industry in Gyotoku and passed his road called Gongenmichi to go hawking. In the museum, there are four rooms, the first room introduces 'the history of Ichikawa after Kamakura period', the second room is 'the people's life at seashore', the third is 'the canals and the roads' and the forth is the people's life on the plateau'. 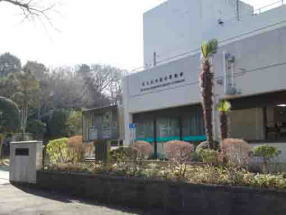 Museum of Antiquities of Ichikawa collects, preserves and exhibits antique articles excavated from shell mounds and remains in Ichikawa city. Ichikawa has Horinouchi, Soya and Ubayama Shell Mound, Onitaka and Suwada Remains, and the Remains of Kokubunji Temples from Jomon to Heian period. 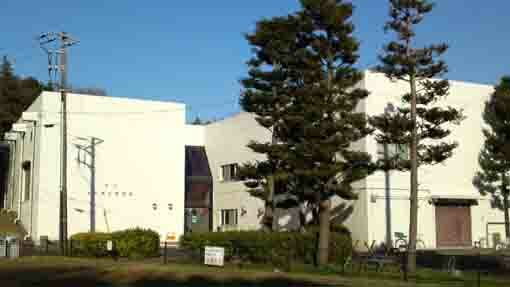 Museum of Antiquities of Ichikawa has five rooms. The first room introduces 'the first people (the pre-ceramic age)' and, the second room is 'the formation of shell mounds (Jomon period), the third is 'the beginning of agriculture', the forth is 'the appearances of old burial mounds (the Tumulus period)' and the fifth room shows 'the age of Ritsuryo (Nara and Heian period)'. Moreover the entrance hall shows 'the change of the environment' and the fossils of corals and a gray whale are exhibited in it. Horinouchi Shell Mound is on the southwestern tip of Shimousa Plateau that spreads on the north part of Chiba prefecture. The shell mound is a remain of an antique village from 3,800 to 2,500 years ago. 'Horinouchi' is a name of village in the east, but the area now Horinauchi Shell Mound in was Komagata in Kokubun village. 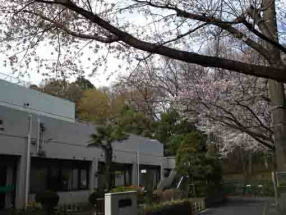 Now the address is 2-15 Horinouchi, Ichikawa. The remain is on the narrow table land on the ridge in the valley, Domekiyatsu is on the south and Senzoyatsu is on the north. 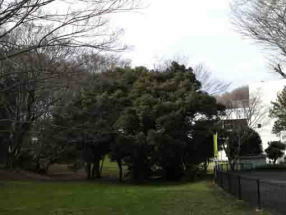 The area of Horinouchi Shell Mound is 225 meters from east to west and 120 meters from north to south. Shells scattered over on both north and south slopes. The west part of the shell mound spreads on the hill and the western tip end like a passage, so the mound forms a U-shaped slope, it is so called a horseshoe-shaped shell mound. Horinouchi Shell Mound is the closest large shell mound in Chiba prefecture from Tokyo, in addition, it is in woods, so it could be excavated easily and many researchers and lovers of archaeology have visited. Horinouchi Shell Mound first appeared on a record in 1883. Moreover it was famed that it was introduced on the academic journal that the first hiking by the Anthropological Society of Tokyo held at the shell mound in 1904. In 1940, Sugao Yamauchi proposed and named the earthenware 'the first type of Horinouchi Earthenware' based on the reports explaining to figure out some differences between them collected in 1917 and 1921. 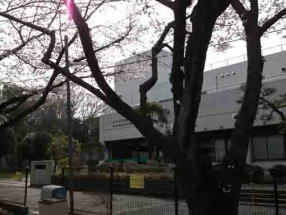 In 1954, the researchers of Waseda, Keio and Meiji University entrusted by the Anthropological Society of Japan excavated and surveyed the landscapes of the shell mound, and Meiji University's excavated the final research point 'B', so Horinouchi Shell Mound excavated several times by many researchers. Small round snails called Ibokisago are the largest and calm shells are the secondary largest number found at the mound and they live in sandy tideland. The third are Okishijimi (a kind of corbiculae), it supposes that the area the shell mound had changed to be muddy beach. Fish discovered at the mound are generally found in Tokyo Bay now, black porgies are the largest and many cuttlefish that have shells found in it are typical. Bones of wild boars and deer are found, so they were food for people living around the mound at that time. But they ate a lot of vegetable food as their staple food. The excavation has not been completed. The remains of their residences were found from on the top of the table to on the slope, and their bones were on the slope. 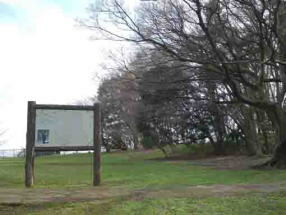 Besides, wooden facilities to remove the bitter tastes from nuts and some relics were discovered on the slope at Michimeki Yatsu on the south. There would be many remains carried by landslides buried in the earth such as a place to drawing water, a landing place and canoes. It supposes that the people living in the area around Horinouchi Shell Mound would go to the sea a few miles away from it by boats. History Museum of Ichikawa, Museum of Antiquities of Ichikawa and Horinouchi Shell Mound have great accessibilities from both Narita and Haneda International Airport. From Narita International Airport, take Keisei Narita Sky Access line bound to Nippori Sta or Haneda International Airport and get off Shin Kamagaya Sta, transfer the line to Hokuso line bound to Nishi Magome or Haneda International Airport and get off Kita Kokubun Sta. From Haneda International Airport, take Keikyu-line bound to Inba Nihon Daigaku (Nihon University) and get off Kita Kokubun Sta. 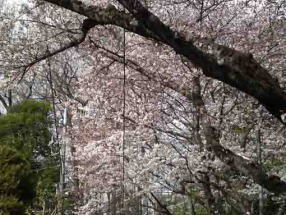 Take 11 minute walk from Kita Kokubun Sta.